It has been suggested that poets are hypertextual writers avant la lettre because of their superior ability to explore the multiple meanings and sonorous affinities of individual words. 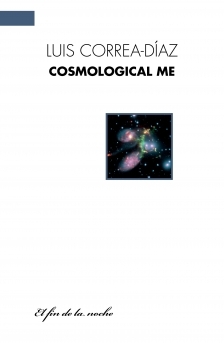 Luis Correa-Díaz, in his collection Cosmological Me, takes this several steps further. His work is not only hypertextual in the sense defined above – it also explores the concepts and metaphors of new technologies, offering a different, sometimes startling, way of perceiving the traditional themes of poetry, where, for example, muses become pixelated sirens and ‘hyperbeings’. Such comparisons are not just clever conceits, however. They tap in to a real need to explore questions of identity in the face of the impact of new media technologies on the younger generation(s). Furthermore, Correa-Díaz’s ‘code-switching’ between traditional poetic themes and ICT/science, complemented by rich intertextual references to the classics of world literature on the one hand and contemporary popular culture on the other, runs effortlessly hand-in-hand with his Latino code-switching between Spanish and English. This is a collection of poetry that suggests that there is much to be gained by a reevaluation of the various codes that define and limit human existence in order to tap into a cosmic sense of belonging, albeit in a post-human age. LUIS CORREA-DÍAZ is Professor of Latin American Literature at The University of Georgia. HEATHER CLEARY WOLFGANG has translated the fiction and criticism of Mariano Siskind and Sergio Chejfec, and received a Translation Fund Grant from the PEN American Center in 2005 for her work with the poetry of Oliverio Girondo. She currently resides in New York City.